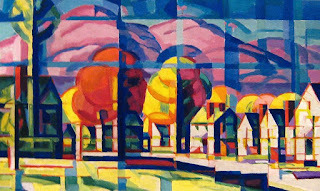 Art With Mr. E: Art Ed Blogger's Network: Artists that Inspire! GREETINGS ALL YOU BLOGTASTIC READERS!!! 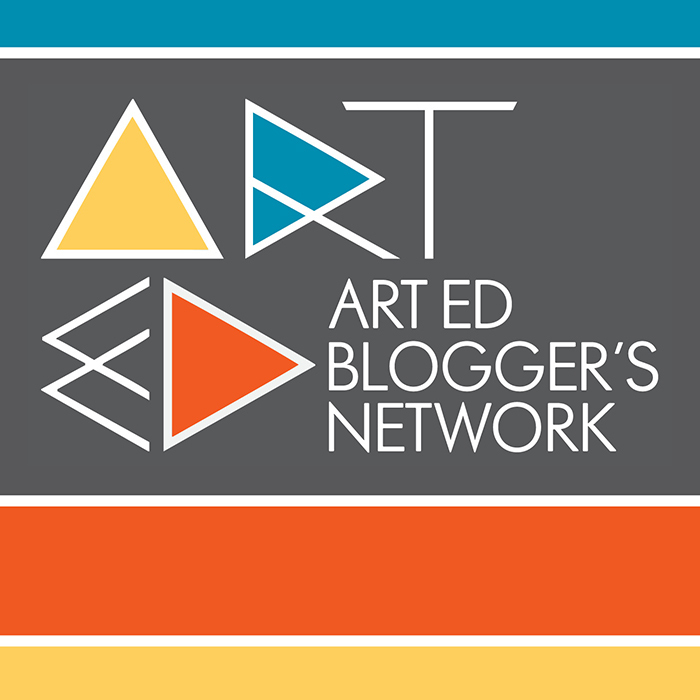 If you are a follower of art ed blogs, you may have noticed a group of us posting today under the header of ART ED BLOGGER'S NETWORK!! This is collection of amazing bloggers(how did I get in the mix?!?!) will surely inform, encourage, and inspire you! At the bottom of the post you'll see links to those participating....CHECK THEM OUT! This month's topic for the group is ARTISTS THAT INSPIRE! Wow...what a topic?!?!!? I have to admit..I've struggled with this because there are so many I love, for such diverse reasons. I'm going to go with a less main stream one for the sake of sharing someone you might not have heard, but may want to learn more about. 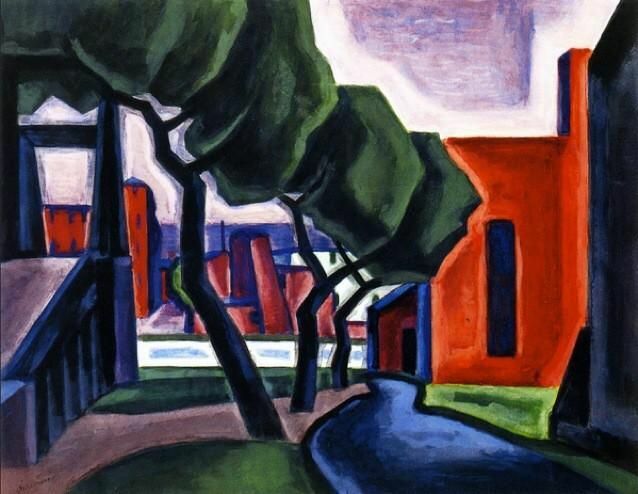 Oscar Bluemner was a German born artist that began his career in architecture & design. He moved to the United States in 1892. 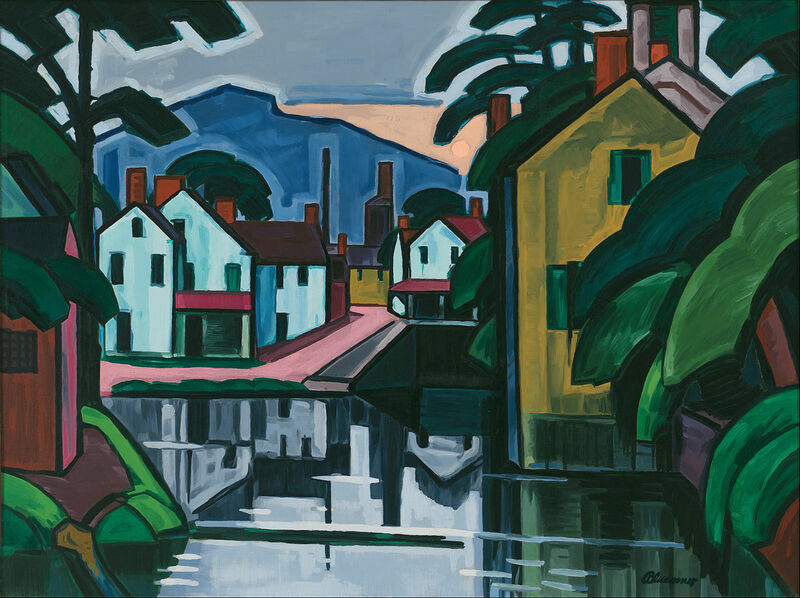 He spent the next 20 yrs focused on architecture, but eventually moved into painting. However, his work was still heavily influenced by his architecture & design background. 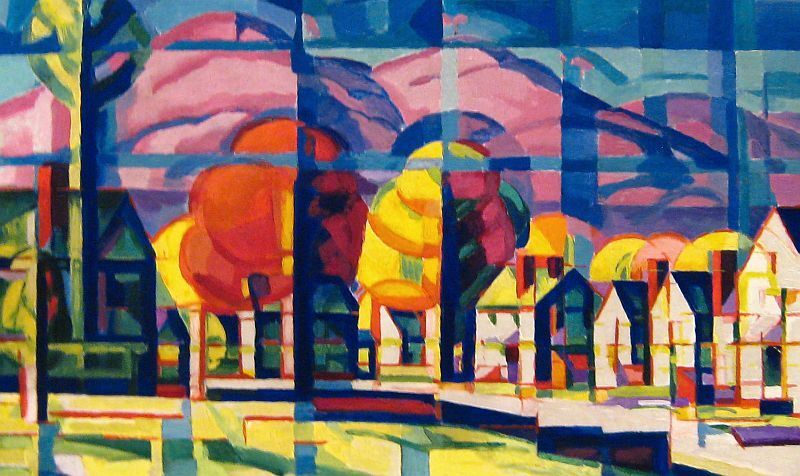 He was fascinated with color theory & how it impacted both emotionally and psychologically. Though he did achieve some success & notoriety....he was a difficult person & did not "fit" into the mainstream art world of the time. Artists that inspire do us no good if they aren't a spring board for our students to explore their own artistic pursuits. Blunderer's work is an amazing jumping off point for LANDSCAPES/CITYSCAPES with their strong emphasis on layering & depth. 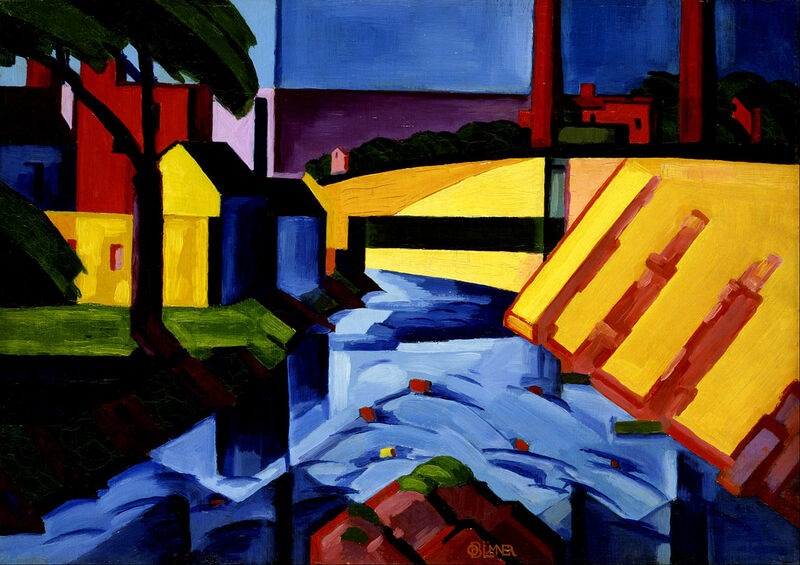 His work does not add a lot of detail or fussy elements allowing the young artist to concentration on the major elements of their work. This also lends itself to transforming amazing drawings into dynamic paintings(I think tempera at the elementary level is perfect!). 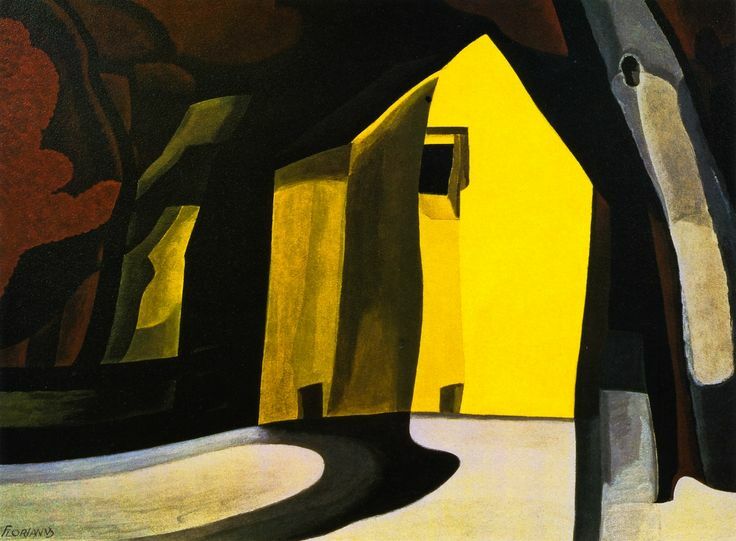 If you are working with BIG IDEAS/ENDURING THEMES....it would be easy to add Bluemner's work into a unit on Place/Community. I HOPE YOU ENJOYED LEARNING A BIT MORE ABOUT MY ARTIST THAT INSPIRES!!! 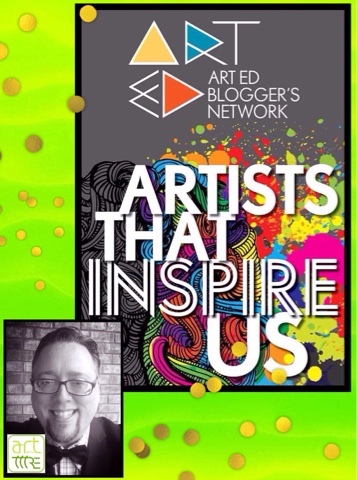 DON'T FORGET TO CHECK OUT THE OTHERS IN THE ART ED BLOGGER'S NETWORK! I'M SURE YOU'LL FIND OTHER GEMS YOU'LL WANT TO ADD TO YOUR LIST OF ARTISTS FOR YOU & YOUR CLASSROOM!